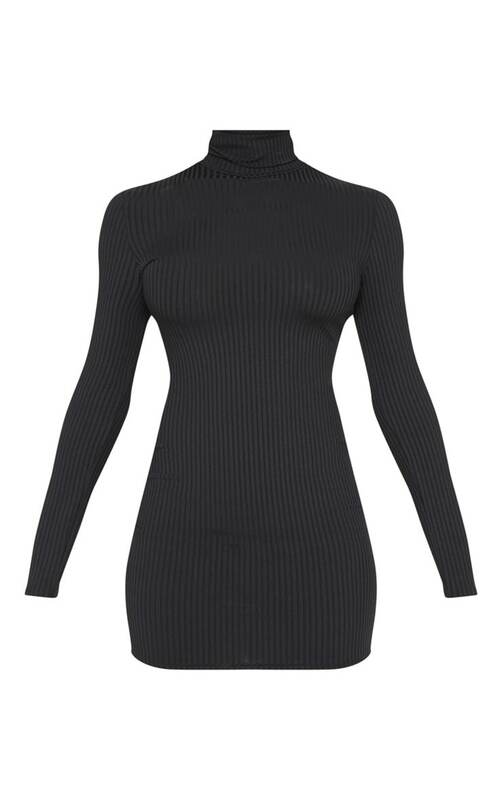 Get that streamline style with this bodycon LBD. Featuring a black ribbed material with a high neckline and long sleeves. We love this styled with thigh-high boots to amp up your style game.